You want to know why gold and silver prices are down? Listen to former Assistant Treasury Secretary Paul Craig Roberts. 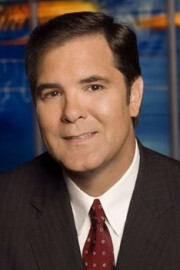 He says, “When gold hit $1,900, the Federal Reserve panicked because they realized with the dollar deteriorating so rapidly, compared to bullion prices, that soon it would also deteriorate its exchange value with other currencies.” So, Dr. Roberts contends, “The Fed had to cap the price of gold and stop the rise. . . . If bullion (gold and silver) were not a threat, the government would not be attacking it.” Not only is the Fed debasing the dollar, but the Fed and IMF encourage other countries to do the same thing. So, gold will continue to be acquired, and Dr. Roberts, who holds a PhD in economics, goes on to say, “They can’t forever suppress the gold price because if you look at actual demand for physical possession of the metal, it continues to rise. . . . They are desperately concerned about the dollar.” Join Greg Hunter as he goes One-on-One with Dr. Paul Craig Roberts. Great interview as always Greg! As Gerald Celente says currency wars + trade wars = real wars. WWIII is just on the horizon and most Americans don’t even realize it. You are correct Rev. Thank you for the comment. Arma gettin outa here! Now! Not later! Cant Afford Nieman’s Marcus Ariliuse! It’s all to silliouse! Along with job offshoring, labor eliminating machines and corporate consolidation contributed. Socialistic governments happily took advantage, competing to blow wealth and welfare bubbles. After decades of playing charades and can kicking games the day of reckoning has arrived. I’ve held gold bullion since before the year 2000, and started buying my first few coins when the price was below $300. For the longest time I was concerned about inflation. Also I studied a lot about deflation. I’ve followed folks like Jim Sinclair, John Williams, and many other guests you’ve had on here for interviews. I’ve followed these guys for quite sometime and far before the popularity and followers they have today. The reason I begin with this preface, is for the past year or so, I’ve been changing my mind about causes and outcomes. First of all, I do think gold will hold its value. Probably other precious metals will too. But not quite for the reasons people talk about today. The race to debase, as I call it in terms of currencies, is really a misguided reaction by monetary policy makers. Ok, nothing than probably any of what your guests might suggest. However, I truly don’t think we are going to get hyperinflation, and we will likely continue to experience a continued gradual deflation in a whole lot of consumer goods, services, and durable goods. The reason I say this, is actually very simple to say, but far more complex in terms of the impacts occurring and the acceleration of numerous convergences. Primarily, we are witnessing a wholesale transformation in the use and adoption of technology. Up to now, job destruction here has been a combination of outsourcing of cheaper labor, better use of more effficient machines, and global competitive currency devaluations. However, in parallel, and about to rapidly accelerate in the next 5 years, is going to be the massive adoption of machine learning practices, neural networks, and fuzzy logic as it relates to all sorts of industries. Entire industries are going to be turned upside down worldwide, if not destroyed forever. This has been happening in earnest for the past 2 decades, but it’s going to really increase now. The US labor participation rate is declining because of this, and many millions are getting left behind. Our country truly cannot educate, and convert its populace fast enough, despite our economy being the most advanced in the world. This is occurring worldwide, and is why we are seeing massive unemployment in so many countries across Europe, and even Asia. China, Asia and Russia and India are in the worst possible position. Why ? Well for one, their populations, mostly china and India, have been on the verge of gaining an actual middle class. The problem now is that technology advances are going to simply overwhelm the worlds ability to keep so many billions employed. Many are on the precipice of being kicked back into the stone age. Sure we have a lot of worldwide debt, which is problematic it of itself, but all that debt could be destroyed with the stroke of a few pens, written off completely,and we could have an entire global reset. That still leaves us with the primary problem. Technological advances in crucial areas, enabled by the ever increasing collaboration and communication fostered by the Internet and computers and mobile communications, is simply going to render a good portion of today’s “labor” in the way we know it, obsolete, and unneeded. Machine learning, which fairly closely resembles the critical thinking of the human mind, is advancing things like robotics and manufacturing lines, sorters, and even the most previously complex and/or minute tasks normally done by humans, such that it is going to more rapidly than ever before replace the need for humans. Couple that now, with massively rising healthcare costs, taxes, and other costs, the company’s that do far more with far less human labor are going to wipe out the ones who refuse or don’t know how to adapt. This has been ongoing and seemingly gradual, as extremely low cost labor, essentially created and fostered by US business in other countries, the developed by those country’s governments, brought a whole lot of the worlds population out of an agrarian, or poverty ridden culture. They have risen close to the middle class, but essentially those “billions” of humans can never be educated quickly enough to become an integral part of a very advanced society. People who have kept up with this and adapted, and are largely above American middle class standards, will likely survive and prosper. Others, and largely, probably 75% of the worlds population won’t be needed for the labor, to produce the goods or services the rest of the world can afford. It’s complicated, but truly we are at an major inflection point in human history. The path from here, will be governments attempting to figure out how they can support 75% of their populations, with only 25% needed for “labor” much of it being critical thinking, innovation, working on computers and working with advanced technology. Some governments might (diabolically speaking) decide they need a war, to “cull” the population, while others may attempt vainly to take a more “humane” approach and adopt a much more socialist model. (ie. the many, living off the “backs” or rather “minds” of a few. Thus in this type of environment, I am hard pressed to see any sort of inflation no matter how much money is printed. As the money, simply won’t be getting into the hands of the populace, unless they are at work. As labor participation rate keeps dropping, more people are going to be on government “welfare” or family and community welfare. Why are we seeing records of numbers of people on food stamps ? It’s not because there are no jobs. It’s because they simply have not learned, and many not ever learn, the skills needed to obtain work that is mind work, rather than just labor or basic thinking. They either need to adapt on their own, which may be very hard, if their iq’s are around the average of 100, or even just above that at 120. People can be mentored and coached to a certain degree, but these machines, robotics, computers, are simply going to continue to proliferate at an accelerating pace, fostered by companies who strive to stay relevant and in business. Monetary policy, and debasing currency doesn’t solve this problem. Only human innovation will. Our governments have no idea how citizens will react, as the critical mass of unemployed, and not seeking employment increases. Which is why we are probably seeing the billions of rounds of Ammo purchased, and an increasing number of so called “FEMA camps” being built. These may never be needed, ever, but they have to prepare for worse case. In the meantime, the best thing everyone can do is focus focus focus on getting educated and using the internet to access resources and materials on advanced skills and technology. There are only so many policemen, fireman, teachers, garbage collectors, or news people needed. Of course government service workers will be growing, as will health care workers. But it’s impossible for those to be high paying jobs. If America is lucky, it will have a massive energy boom, to allow it to export a lot more in the way of energy, technology, and keep a whole lot businesses ultra competitive, serving the billions of others on the planet. Most likely those others it serves will have to be upper middle class or “rich” to be afford the goods we provide. Fewer and fewer people will be operating machines. So that won’t be a solution for employment. Who knows how this all evolves. But rest assured, 5 years from now we won’t be in hyperinflation, we will likely be still dealing with many deflationary pressures, and whoever is fed chairman, will either be printing money or very very very slowly raising interest rates. wow. very impressive analysis for mike r.
there is definitely something to this. remember an interview asking an expert in computers why some silicon fabrication plants were still opening in the us when the labor costs were so high here. the response was that labor was not the most expensive cost because the fab plants were so highly automated. shipping costs were more significant because most of the product was being sold here. manufacturing and farming is never going to employ the number of people that it used to and there won’t be enough intelligence worker type jobs created to replace them. a lot of people have written on this subject. 1) who is going to be left to buy the stuff they make? To be forewarned is to be forearmed. Thank you for the comment and support. The Gov’t suppresses bullion to play-for-time for the FED to play-for- time until the Congress gets it’s fiscal act together.-Which it cannot.- Only these time factors of a demise are in question. //// After scouring the world knowledge for info on this CRISIS, I find that subscibing to the Roberts newsletter is the best investment you can make. -THANKS GREG. That’s right Justin. I think the government knows it is playing for time. Greg: I love the simplicity expounded in this interview. This 22:19 minute interview will turn into 1 hour as I will have to here it two more times. Cant wait to read the comments! The comments are sometimes the best part. Thank you for yours!! Dr. Roberts is always a great listen. Thanks for covering the wide range of topics with him. Thank you for the good grade Farley!! Greg: acknowledgement should go to GATA for its outstanding work in exposing the PM suppression schemes which, in reality, have been ongoing for decades. IMO, however, that this government orchestrated price manipulation is coming to an end. Witness the current shortages in both gold and silver as evidenced by lead delivery times from coin dealers, product rationing from both the Canadian and US mints, escalating premiums, and the unprecedented huge redemptions of gold from both COMEX and LBMA. A more critical analysis would examine the present cost structure of the miners who are shedding marginal projects left and right and cutting back on exploration and drilling. This means that future global production is likely to decrease and not keep up with demand. In the end the prices will reflect the law of supply and demand; it’s that simple. GATA has uncovered a lot of good data. Thank you for pointing this out. A thanks again to you, Greg, for having Dr. Paul Craig Roberts back on USAWatchdog. I always listen very carefully to him on his take as to what the government is up to. He is a very knowledgeable and astute fellow when it comes to the workings of the Fed. and it’s Siamese twin, the Federal government. I would like to add my thoughts regarding the Japanese policy of inflating their currency, the Yen, in order to pull their economy out of Deflation. At first I thought that it would be a zero sum game for Japan as it has to import energy and raw commodities for it’s export manufacturing sector and would have to pay more because of it’s depreciated Yen. Then, I recalled your interview yesterday with Jim Willey as to the latest oil trade negotiations between Russia and China and how China will pay for it’s oil with U.S. Treasuries, of which it is the largest foreign holder at $1.15 trillion dollars. Japan is the second largest holder at $885.9 billion dollars, therefore, it too will have no choice then to cash in the Treasuries to pay for it’s imported commodities that are quoted in the reserve currency, the U.S. Dollar. How will the Fed. handle all these foreign U.S. Dollars returning home to roost ? Another nail in the coffin of the Dollar. Thank you Rick and Troy. What makes this guy think he knows anything about economics, or government policy ;)? I believe that PM’s are being manipulated. Easy proof. See what it really cost to buy and how available it is. And while they are working towards taking away our guns, they are buying up all the ammo. What good is a gun, without ammo? If you think the system is heading for a catastrophic meltdown then buying gold isn’t such a great idea. The better solution is self sufficiency (home, energy/fuel, food and water), security (guns-ammo-pick-up truck/tractor/spare parts), strength through community (likeminded family and friends) and importantly, faith in the Lord Almighty. How many Gold Eagles will one need when the collapse comes and the above human needs are not meet? The gold pedlars and the money changers trade in fear, misery and greed. Reject them in equal measures. Don’t know if anyone has noticed but if you go to with draw a large sum of money from your bank ($5,000) or above,note that there will be few 100 dollar bills(if any) and most will be in small bills/ $20.This has not been a one off but i have noticed this on many occasions.There was at one point when my mother went to take out 8k and was told ,she would need to come back the next day.Have you or any one else notice this trend? Thank you Dave for the real world reporting. Yes Dave: This is a common practice. In the USA there is only 45% of the 100.00 bills. leaving 65% of all 100.00 bills to be outside the USA. Before resetting the economy, they will have to confiscate gold and before doing that they will have to get the price down. – Record depletion of stock piles at COMEX. – Cyprus, confiscating money and gold. – Gold price (paper price) falling!!! New York is a terrible place to do business. Taxes are among the highest. The regulations are among the most extreme. Worst place to be a landlord. It has a very low homestead exemption of $50,000. It is a recourse state, keep this in mind when taking out a home loan. New York City, Bloomberg(an idiot), tells people what to eat and drink. He has much disdain for the 2nd amendment. His “precious” city has rent control. It is constantly asking for bailouts. My advice from someone that hopes to move out of this god forsaken place in the next few years: avoid New York State and City at all costs! a onze of gold. India has 6% + additional tax on Gold which accouts to same. And sorry to hear people talk funny on Indians love for gold. I think the Indians are very smart. They have been burned before. Great interview. But it’s even worse than you’re making it out to be, much worse, because of Peak Oil. The US peaked in production in 1971 and it’s been going down ever since with a few short lived bumps (of which the latest tight oil boom is one). Oil consumption in the US has been maintained over that period via the US trade deficit, i.e. from the reserve currency status of the dollar. When that ends, so too will America’s oil imports (it currently imports about half of the oil it consumes). What will make this especially hard is that, unlike Bangladesh, America’s infrastructure is built to function by burning lots of oil, and it can’t function without it. In this respect, Bangladesh will weather the storm better than America will. The natural gas boom is about to crash; there is simply nowhere near “centuries” left as the media proclaims. The problem is that all the new fracking gas comes from tight shale plays, just like the oil, which have very steep decline rates, and there aren’t enough rigs available to drill the gazillion new wells needed to maintain production. And we’re decommissioning nukes to instead burn natural gas for electricity because of the supposed “glut” on the North American market — just wait a year to see where NG prices go! What’s worse, modern agriculture requires huge fossil fuel inputs to produce food — in North America, 7 calories of fossil fuels to produce 1 calorie of food. When oil and gas decline (fertilizers are made from natural gas), then so does food production! The only hope left is coal, which the US may still have quite a bit of. And solar. Nuclear is a fantasy — they can barely keep the things running today, how are they going to build and maintain new ones when society collapses? And I thought America lost all its skilled labour due to outsourcing. Who’s going to build all these new nukes? Just watch Jeopardy and you’re lucky if you get 1 science category. This is the beginning of the end of modern humanity. We probably won’t go extinct, but we may be reduced to a few hundred million globally over the next century. The numbers describing our predicament are truly terrifying. Yes, great interview. Mark BC, Agree that we are in an unsolvable predicament. As Bob Dylan said “A Hard Rain is Going to Fall.” Taking in the big picture, the ecosystem of the world will be in much better shape with only a couple hundred million humans running around than with the seven billion of today. Overpopulation is the primary problem. Thank You Greg and Paul, I have to laugh because it is easy to see the financial collapse of the dollar coming. I keep watching the FED monetize the banks derivatives at $45 Billion a month and wonder why people don’t see that the derivatives are “bank” money created by the second financial instrument in a modern day home sale. These debts were not issued by the FED or authorized for payment … so why is the government giving another back door bailout to the banks for “debt” created outside the US monetary system? There seems to be some misunderstanding as to what a reserve currency is. The individual nations will continue to operate in their own currencies even as the 7 regional reserve currencies are put in place to replace the single world reserve currency the US dollar has held since WWII. Russia and China are only playing ball to prop up the dollar because they were promised a prominant place at the table when the powers that be pull the props out from under the petro dollar. This was all prophesied thousands of years ago. Goldman advice to avoid gold. That’s a good one. I don’t think the BRICS got that memo. Overturn Citizens United: End the fiction that corporations are humans. Close all Wall Street derivatives casinos … Purge “corrosive financialization that has turned the economy into a giant casino since the 1970s.” No cheap Fed loans, no bailouts, no deposit insurance.” Reenact the Glass-Steagall. Stop Fed micromanaging the economy: No more cheap money. No debt buybacks. No investing in private companies. Fire the Fed’s central planners. Restore “The Fed’s original mission: to provide liquidity in times of crisis but never to buy government debt or try to micromanage the economy. Getting the Fed out of the financial markets is the only way to put free markets and genuine wealth creation back into capitalism. Ban usury (interest). There’s a reason Christianity historically banned it, and Islam still does. It will be impossible to balance budgets on a long term timeline if the monetary system grows at an exponential rate because of interest. I’d go even further: disband the Fed and all central banking altogether. Ban fractional reserve lending. The only reason fractional reserve lending was allowed was because Europe’s rapidly growing economies, as they took over the rest of the world, couldn’t keep up with gold production increases. Fractional reserve lending is designed for a growing economy — and the world will soon be contracting. There is absolutely no need for traditional banking anymore, except as a repository so you don’t have to keep your money under your pillow. The only reason we need to go to banks today to get loans to do productive things is because the banks have stolen all our money and corrupted the system. Bring the wealth back to the people, and they’ll be able to find the money amongst themselves. Government debts could be eliminated if the government was once again re-instated as the issuer of debt-free, interest-free money. Where the gold is going to come from to back that, I don’t know, as the bankers have stolen it all. It possibly wouldn’t need gold backing however, if it was a legitimate government-issued currency. Of course, this won’t come about until after a bloody revolution, if it ever does. This was a profound interview. It is just the tool I need in the ongoing attempt to convince family members with their heads in the sand that danger is on the horizon and that the highs being achieved in the market are a house of cards. Good luck. I have had many say their families do not believe anything is wrong. If they don’t believe you, don’t stop loving them. They are going to need you dearly. It is a tragedy that your interviews are not seen by every American. Then again most Americans probably do not have time to watch because they are filling out their “March Madness” brackets. The truth, sadly, is that this is but another tragedy in the fall of the United States. It is shocking to hear Paul Craig Roberts — who I once thought was an alarmist (the price of being ahead of your time)– say that America is on it way to becoming a Third World country, but the signs are unmistakable. For example, Obama constantly pledges his loyalty to the “Middle Class,” yet his policies are intended to destroy it. His intention is to destroy the economy so that Food Stamps become a “Middle Class” entitlement, at which time no one will be left to criticize it since the “Middle Class” — once the home of traditional personal independence — depends on to eat. Soon, no one will even remember that America was once different. “Soon, no one will even remember that America was once different.” Powerful statement my friend. I still have hope we can bring her back someday. Thank you for the comment. It was a good one! Mike R may be right in something but is likely wrong on others. If the debt gets wiped out by the stroke of a pen as he says it means that pensions, 401ks, deposits, money in the stock market, social security… and more will be erased. They cannot do that without erasing also the personal debt and that includes the mortgage debt. Erasing the debt means erasing all or the debt and issuing clean deeds or they will really piss off the people AKA the most heavily armed population in the world. Hyperinflation may never come but the currency or paper money will be destroyed and there is where the precious metals will come into use. When no one accepts paper money they will accept gold and silver. Another way of looking at this is that precious metals could not be valued against a currency that does not exist. Other than that, people better have something to barter with. Democrats will be more humane dealing with the people than the NeoCons (the same guys who did 9/11 and would nuke us in a heartbeat). This is the main reason and perhaps the only reason why in the last election I voted Democrat for the first time ever and perhaps in the last election in many years. If the world economy crashes who is going to buy what the corporations produce. If they kill 50% of the people that is 50% that will be buying nothing from corporations that will go bankrupt. There are many things that could happen but two things are for certain: The life of paper money and Dollar supremacy will come to an end and since the debt is unpayable it will not be paid and these two alone will turn our world upside down. I think we have a little less tyranny with the Republicans, but just a little. Highly indebted states will become increasingly more desperate for money. California, Illinois, New Jersey and New York have nearly $1.5 trillion dollar combined debt. They will never pay that money back, and will need to confiscate as much as possible to keep their state socialist Ponzi schemes going. Consequently, these are also the states pushing the hardest for gun control–go figure. They eventually the socialists want a total guns ban except for government. That makes it much easier to take private property, and lots will be taken during the up-coming crash. Thank you for your comment. I think I basically agree with you on every point. I just wanted to add my 2 cents. Another great interview, thanks Greg! There has to be a connection to the sudden urgency to grab the military pattern weapons from the populace with all that’s rapidly unfolding in the economic sphere. It just so happens that this style of weapon is the only type that offers a true challenge to any government attempt at placing the US (and its states)into a totally submissive relationship with the federal government. Thanks to the net & interviews like yours, the citizens have been alerted to these very real dangers & will no doubt refuse to acquiesce to any disarmaments. Thank you Dave for your support and kind words. There is something missing. Please explain to your readers exactly what techniques are being used by the Fed to depress the price of Gold so deeply. Conspiracy theorists always level the charges but rarely have the smoking gun. Hence their credibility is shaky at best. If they can get away with these techniques how the hell are we supposed to fight back?? Widely reported that there was 500 tons of paper gold sold into the market last Friday. That’s about one fifth of the world’s gold production. It was dumped on the market in one day. Why would you want less money for what you are selling by dumping it all at once? Here’s what former Assistant Treasury Secretary, Paul Craig Roberts has to say about the suppression of precious metal prices: http://www.paulcraigroberts.org/2013/04/13/assault-on-gold-update-paul-craig-roberts/ The only way to defeat the dark forces is to own physical metal and stand your ground. renown Gold analyst Alf Fields summed it up this way recently by saying “The fundamentals for holding gold are as strong as ever. Gold is an insurance against a range of financial disasters that we don’t need to go into now. You do not cancel your fire insurance when you can see fires burning all around you.” I hope this helped you. Gold & silver prices will eventually rise again no matter what the governments try to do to supress their prices plus the gold/silver miner stocks will have their haydays too. Part of what’s being overlooked in my opinion folks is that the fiat money system makes US all thieves. We buy something from the market with inflationary purchasing media whose buying power can eventually be inflated away from the sellers. This means we have no traditional store of value money circulating. The problem was resolved decades ago by OUR Founders who in Article 1; Section 10 of OUR US Constitution called for only gold and silver coins as our money only without recoarse to any kind of use of fiat, I Owe You Nothing paper money which OUR present US $ has become. If we don’t have recorse to gold and silver as heges against the depreciating $’s loss of purchasing power, we look to be ever greater loosers in the monetary currency game of international monopoly. How long this world of economic fantasy can continue is actually up to the people in the various affected countries but they keep looking to false leaders for their escape. Thank you for the excellent interview. I always enjoy the wisdom and insight of Dr. Roberts. Nobody needs gold. Can’t eat it, hard to sell, has to be converted to cash (fiat money). Holding it means prices of goods, land, consumables rise (inflation), while hopefully gold rises in price. But it must be timed correctly to realize a break-even or a profit, but with the increased price of goods in that time frame, what’s the bloody point? I am not trying to make you feel bad but your comment shows you have no idea what you are talking about or the risks to the global economy. You are think like a trader and a bad one at that.